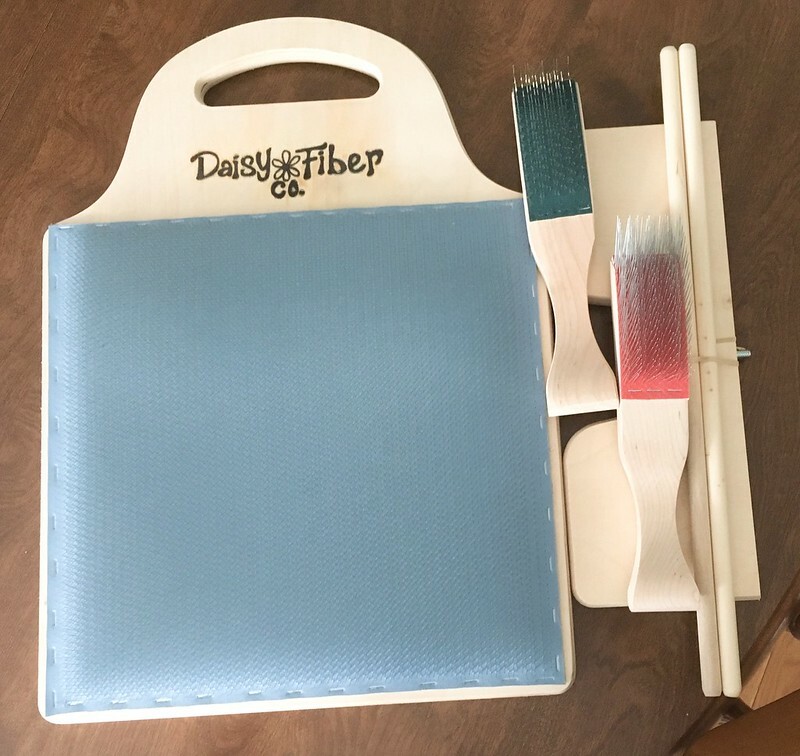 Yes, I got a brand new fiber toy today, a blending board. I’ve been wanting one for several years ever since seeing a YouTube video for the Ashford blending board. But this tool isn’t cheap. 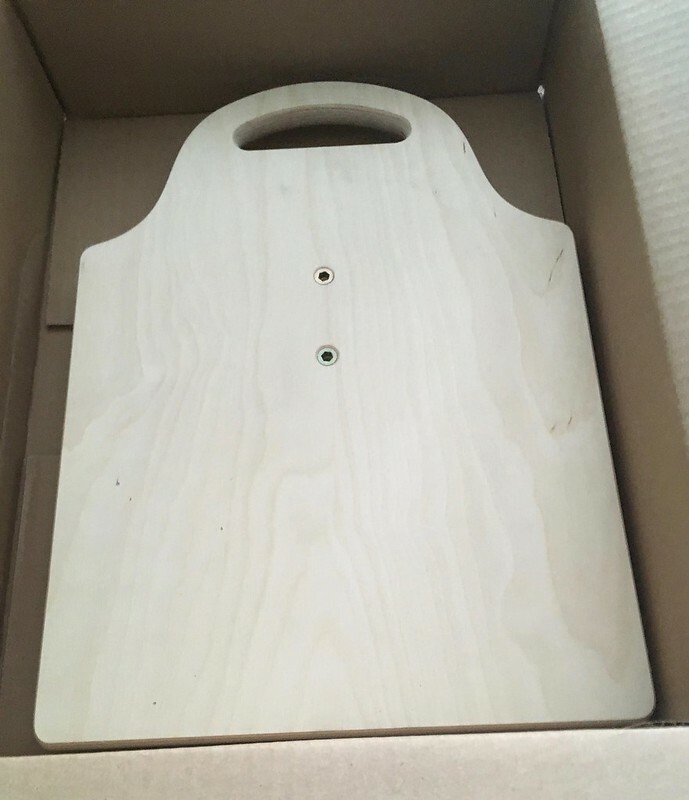 The Ashford blending board retails for $195 US. 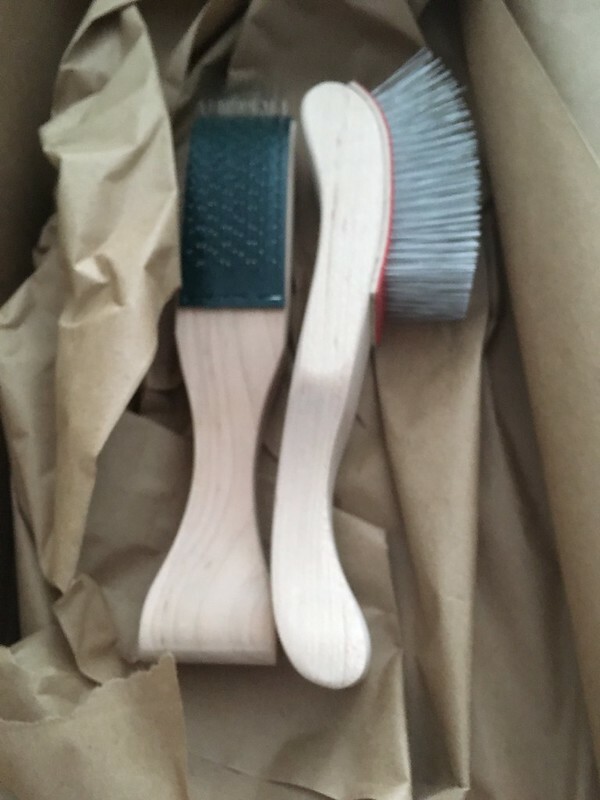 But recently, while browsing Etsy––I know, I know––I came across a blending board being sold as a factory second at a very good price, and before you know it, a blending board, blending/burnishing brush, and flick brush, also factory seconds, were in my shopping cart. All are from the Howard Brush Outlet, and I got everything for substantially less than any other blending board would have cost me. If you don’t know what a blending board is used for, here’re a couple of links to YouTube videos demonstrating the Ashford blending board (under 5 minutes) and the Fancy Kitty blending board (a little over 12 minutes). Everything fit into one box. 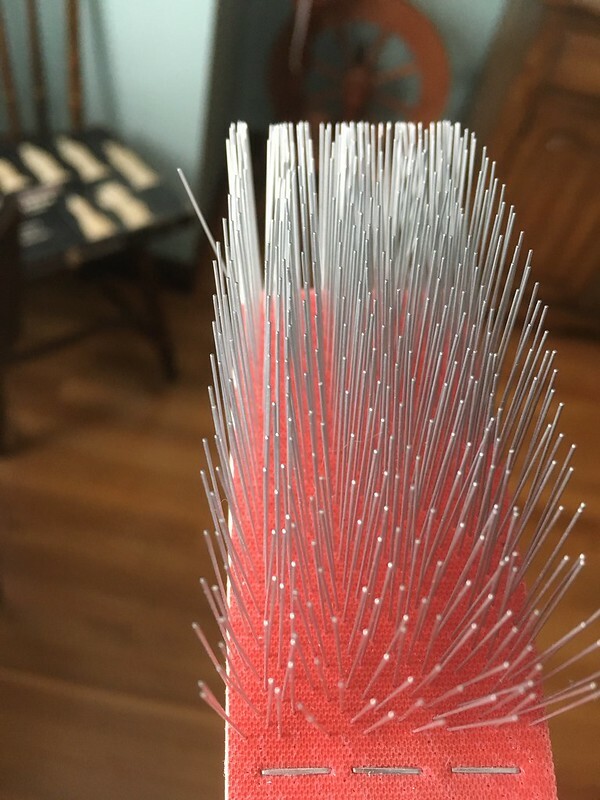 The brushes were on top. Sorry for the fuzzy picture. What can I say, I’m a lousy photographer. 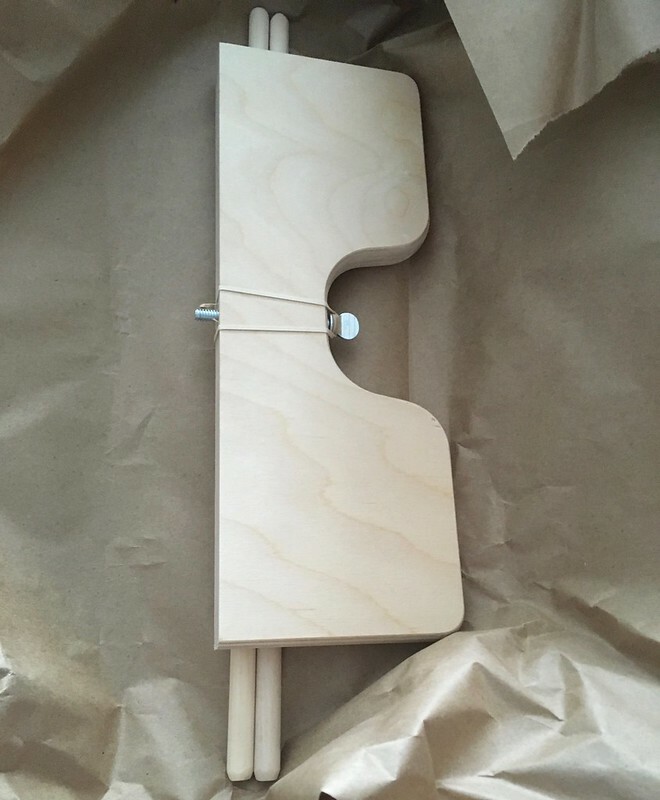 The keel and dowels were wrapped up together. The blending board itself was packed “face down” on the bottom of the box. The two holes are where the keel screws in. You can increase or decrease the angle of the board when using it on a table by moving the keel to the upper or lower hole. You can also move the keel for comfort when you use the board on your lap. 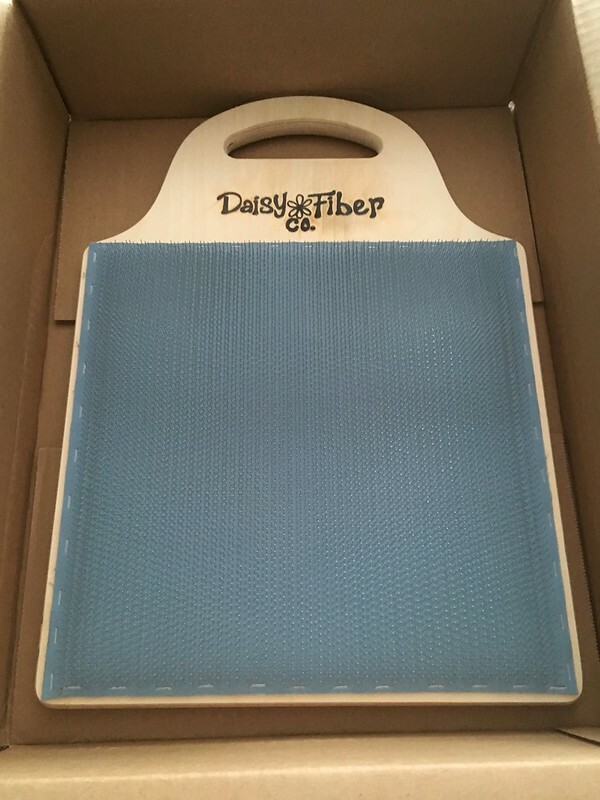 The Daisy Fiber Company blending board is made in Maine and retails for $120 without the brushes, $150 with the brushes. The cloth on the board isn’t standard carding cloth but a special type of carding cloth made by Howard Brush that is gentler on the fingers. The cloth on the board measures 11.75 inches by 11.75 inches. 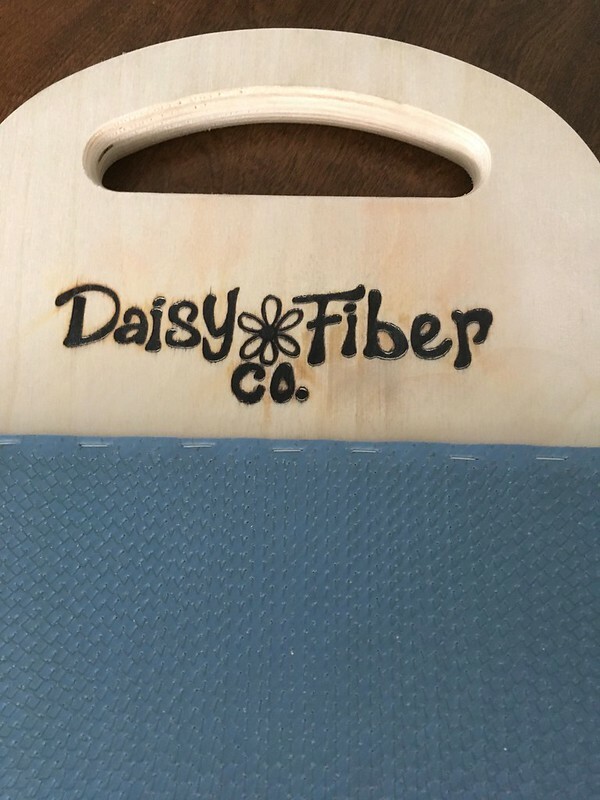 There is a built-in handle, and the company logo is burnt onto the wood. At least, I’m pretty sure it is burnt in. 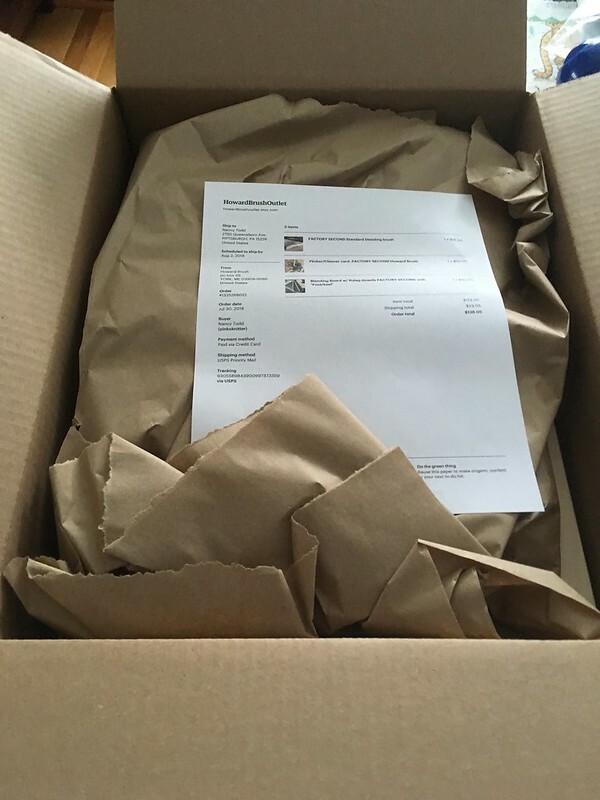 Here’s the entire package. I got all of this for less than I would have paid for just the blending board/keel/dowels had I bought firsts. I couldn’t find any flaws in the board, so I don’t know why its a second. 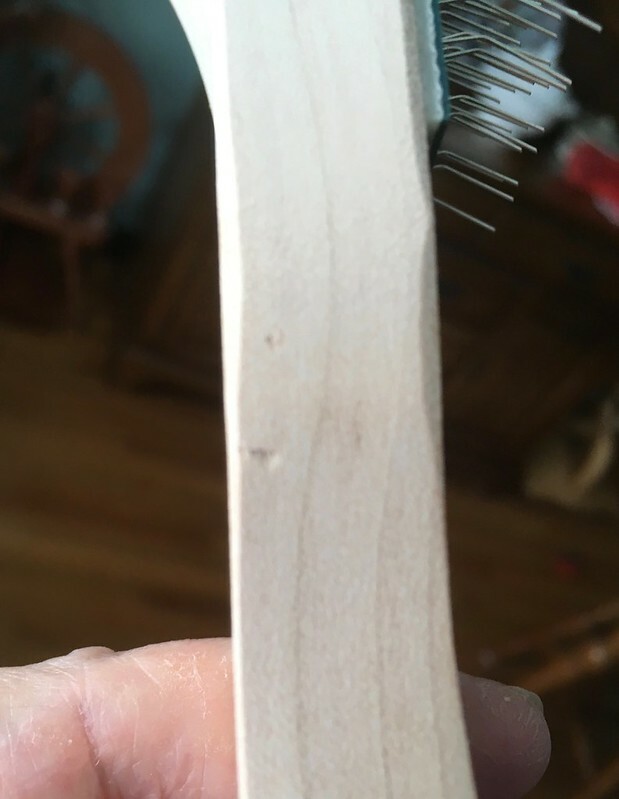 For the blending/burnishing brush, I’m guessing that the flaw is the single bent tooth because the rest of it looks perfect. The only flaw I could find on the flick brush is this little ding in the handle. The company promises that none of the flaws that make the equipment factory seconds affects the performance of the equipment and I believe it.